When a customer sends an email to your support address (read how to configure email here) a ticket will be created and their email address will be associated with the ticket automatically. If this email is already in your Customer list, the ticket will automatically be matched with the contact. If we do not recognize the email, we will associate it with _Unknown Company. 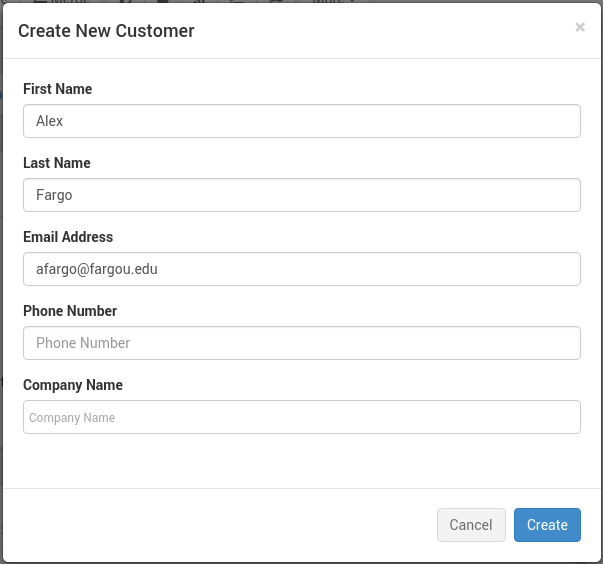 If you open a new tab for a Contact from the Customer section, then press “New Ticket”, the customer will be automatically associated with the new ticket. 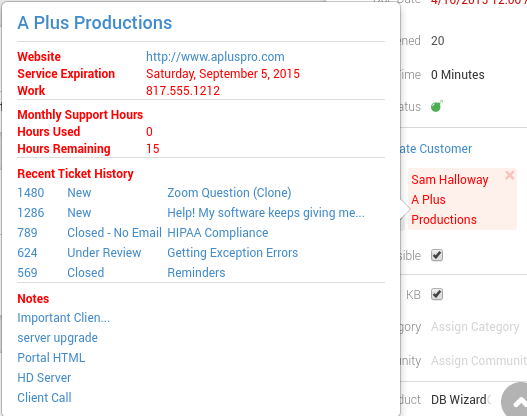 Ticket Automation can assign a customer to a ticket based on specified conditions. The list will narrow down based on the text you type. Required fields are First Name and Last Name. If you leave Organization blank, the Contact will be associated with _Unknown Company. You may associate a Company only, without an actual contact. This is useful if you would like to match a ticket to a company, but do not have, or do not wish to notify any person from that company. In order for the associated customer to see the ticket, the ticket must be marked “Visible to customer”. Within a visible ticket, Customers will only be able to see visible actions. Click here to learn more about ticket visibility. When a customer has been marked “inactive”, or their service expiration date has passed, the customer box in the Ticket Detail window will appear with red text and surrounded by a red box. To remove a customer from a ticket, click the “x” next to their name. You can hover over the customer or contact to view additional information without needing to visit the full Customer section. 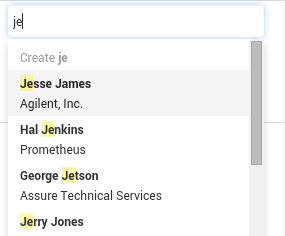 By hovering over the company, you can see the 5 most recent tickets, 5 most recent Activities, and the service expiration date as displayed in the screen shot below. Additional information such as email and phone numbers are also displayed.